Hey everyone! Took Baby girl to the vet yesterday to get her stitches removed. The vet says everything looks normal so we’re hoping that the whole issue is over and done with. 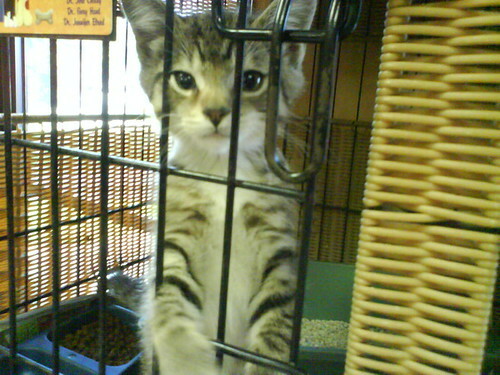 While I was at the vet, they had the cutest kitten in the waiting room…kitten was waiting for someone to adopt it. Awww. Baby girl always makes me laugh and smile. How can you not love her? She’s got such a personality. Anyways, while I was running the errand to the vet, I was cooking ribs in the oven. I’d gotten a good price on some spare ribs from the market the other day…so on Sunday I dry rubbed them. After 24 hours sitting in the frige, letting the dry rub work its magic, I put them in the oven with a some liquid (wine!) and more dry rub to cook until tender. When I got home from vet, we threw them on grill with my special BBQ sauce and grilled up probally the best ribs I’ve ever had. SOOOoo good. 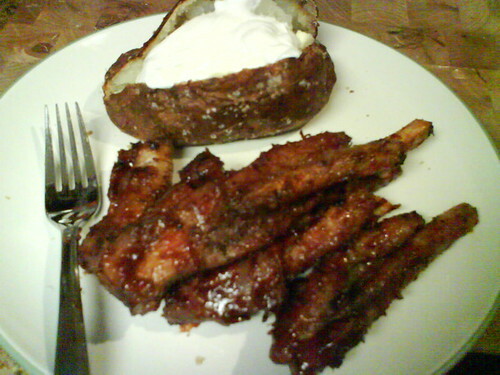 And another shot of the ribs on my plate with my baked potato (with butter and sour cream). YUM. This morning it was 55 degrees when I went out to the car. That’s not really cold, but considering every morning last week when I went to work in the morning, it was in the high 70’s, low 80’s – that was quite a different temperature. I wonder…is summer over for real? Is fall here? What is everyone else experiencing? ~ by Nevis on September 29, 2009. Mmmm ribs….. they do look yummy. Yummy! A person can’t get good ribs anywhere out here in Colorado so your rib pictures are making me drool! PS: No one has ever mentioned that Scott looks like Dexter (Michael C Hall) before. Usually people think that he looks like Johnathan Rhys Meyers (yum-o). But now that you mention it I can totally see the resemblance! glad to hear rukia is doing so well! your ribs sound delicious! 1. Can I have some ribs? 2. Thank you for making me feel better about my demonized dog! 3. I want that kitten….evil Hubby for stealing my cat! 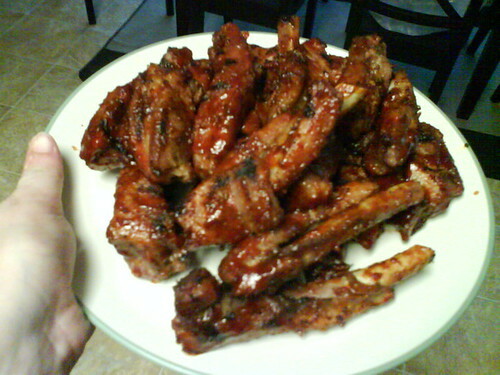 Thanks for visiting my blog:D. Those ribs look amazing!! *WoW shout out to you too, btw* I’m glad Rukia is feeling better. I’m kind of surprised that they put her under to get her stitches out. I had the same issue with Freya when she got spayed–she rejected the top layer stitches and got infected and then rejected the dissolvable one later that month. 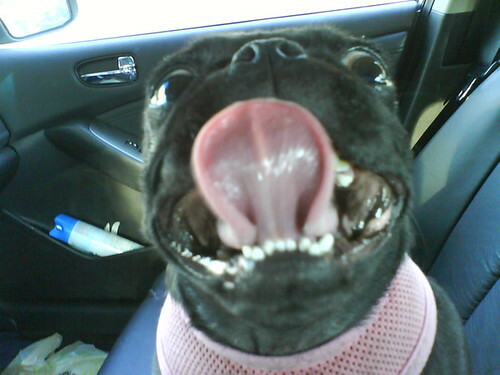 The vet just took her to the examining room and pulled it out under the big light–no charge either! I just had to pay for her Advantage Multi. He told me that the stitches are all human grade material and were not specifically made in mind for puppies. It is a little shocking to go from kitten to pug tonuge to a whole bunch of ribs! Tryptic! I promise that kittens and pugs get along just fine! I think you should go back for it! LOVE Ruki’s face! Glad she’s feeling better!